Holistic rejuvenating therapies can be savored at the exclusive Tamara Spa‘s over-water spa pavilions, along with a range of beauty and salon services, and recreation facilities include two outdoor swimming pools with sun decks and poolside bars, tennis courts, and a fully equipped fitness center. 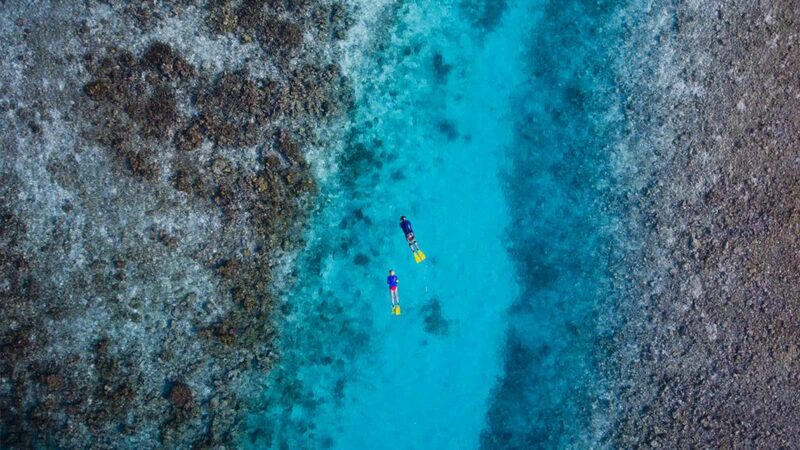 A PADI-endorsed diving center offers guided snorkeling, and scuba diving trips on the house reef or one of the world-renowned diving sites in the area, as well as PADI-certified courses for beginner divers. 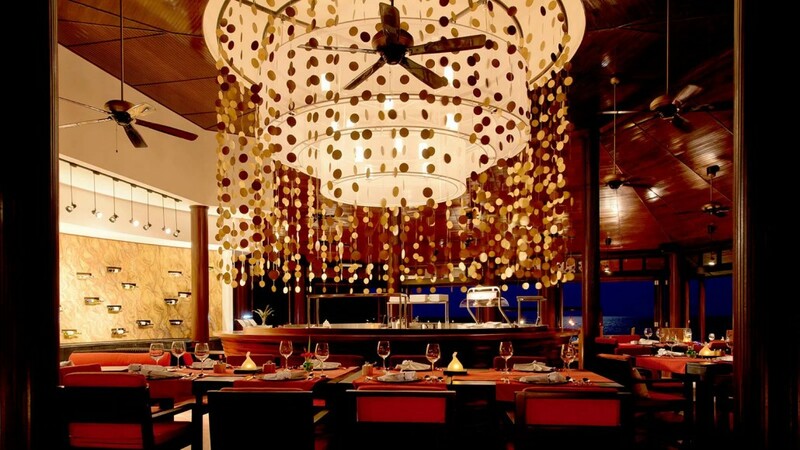 Several stylish restaurants and bars offer delectable Asian and Eastern cuisine accompanied by fine wines and handcrafted cocktails, and live entertainment against a backdrop of panoramic lagoon views. 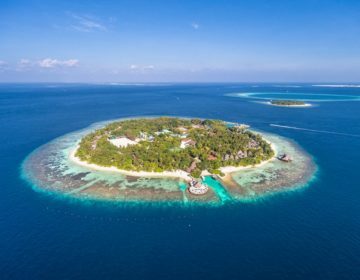 Lily Beach Resort & Spa features an array of elegant accommodations surrounded by footprint-free white sandy beaches with beautiful oceanfront views of the turquoise waters of the Indian Ocean. 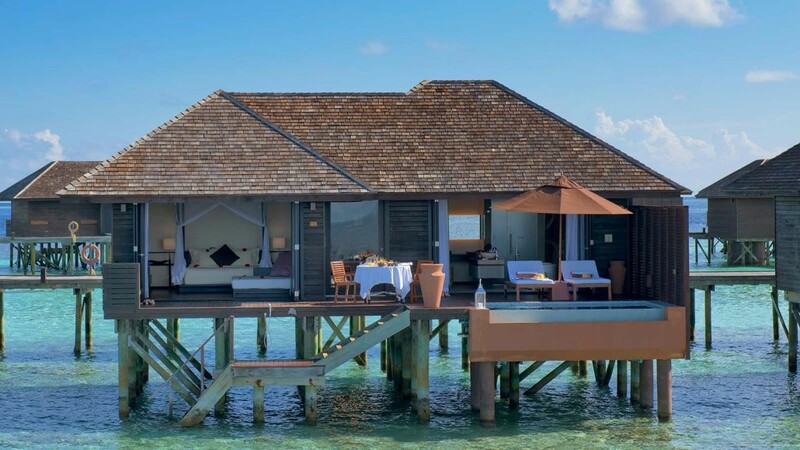 Ranging from Beach and Lagoon Villas to Deluxe Water Villas, Sunset Water Suites and Family Beach Villas, light and airy interiors are decorated in tropical hues with spacious living areas that flow seamlessly onto outdoor wooden decks that float over the water or overlook the beach. Hardwood decks have cushioned daybeds for relaxing in the sun or under the stars, and deluxe en-suite bathrooms have spa bathtubs, glass-enclosed rain showers, slippers, and luxury toiletries, and state-of-the-art amenities such as LCD satellite televisions, BOSE home theatre systems, Nespresso machines, fully-stocked minibars, and complimentary wireless Internet. Deluxe Water Villas and Sunset Water Suites add extra levels of luxury and privacy with multiple bedrooms and en-suite bathrooms, three outdoor showers, spacious living and dining areas, fully equipped kitchens with 24-hour butler services, and several outdoor decks around the property with swimming pools, sun loungers and day beds, umbrellas and over-water net hammocks. High-end technologies include flat-screen SMART televisions and entertainment systems, DVD players, and complimentary wireless Internet throughout. Book this incredible experience by clicking here. 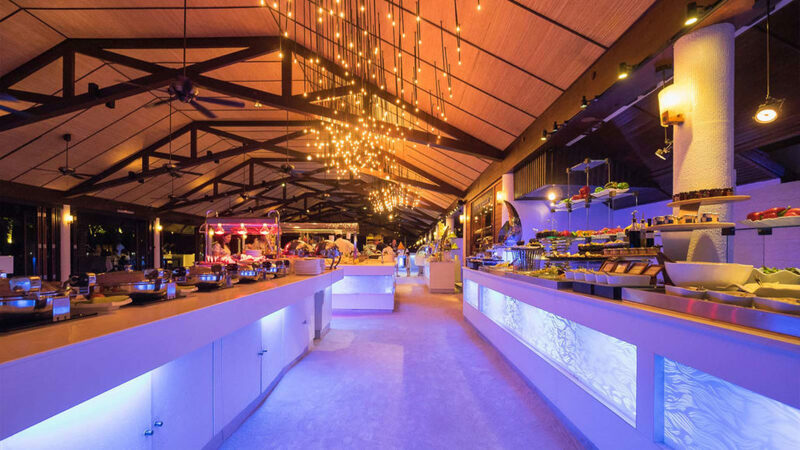 Savor epicurean delights in a private island paradise with a sumptuous array of mouthwatering cuisine from fresh seafood and catch of the day to Middle Eastern and Japanese cuisine to sun-kissed Mediterranean fare. Lily Maa (maa being the local word for flower) is the resort’s main, buffet-style restaurant that serves an all-inclusive buffet and a live lobster tank offering ocean-fresh lobster and a variety of seafood dishes. The cuisine is accompanied by an exclusive selection of 80 premium wines from all four corners of the globe. Boasting elegant interiors with golden garland décor and a prominent chandelier, Tamarind is a refined dining establishment that promises a memorable culinary journey with a sublime selection of Thai and Indian cuisine exuding a rich palate of flavors and spices. Premium wines from renowned wine cellars all around the world are available to pair with the fare. 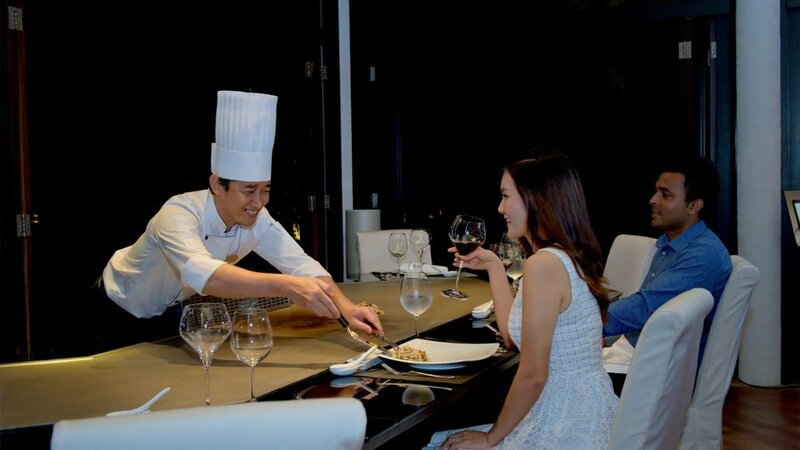 This live cooking station takes center stage at the AQVA Bar and presents the culinary art of teppanyaki using the freshest and top-quality ingredients such as fresh lobster and the finest Wagyu beef. Les Turquoise D’Aqua offers a sumptuous exceptional dining experience, combining award-winning contemporary cuisine presented as a five-course degustation menu with an unrivaled setting beneath the stars. 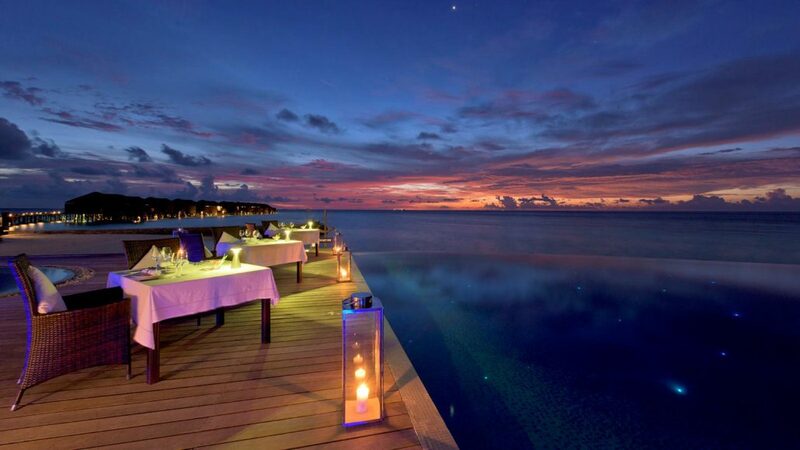 Located on the sunset side of Lily Beach Resort & Spa, the AQVA Bar is a sublime spot with unsurpassed ocean views. Teppanyaki chefs prepare and cook fresh Japanese cuisine in this theatre of gastronomy while guests sip signature cocktails, imported spirits and fine wines from around the world. 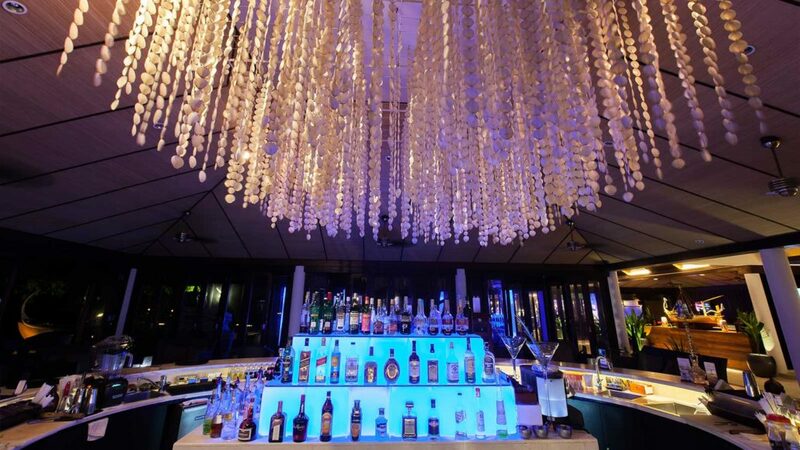 Vibes Bar offers the ultimate chill spot by day with a swimming pool, an indoor games room with a pool table, table tennis and table football, and outdoor beach volleyball; and a slick entertainment venue by night with a live band and resident DJ. 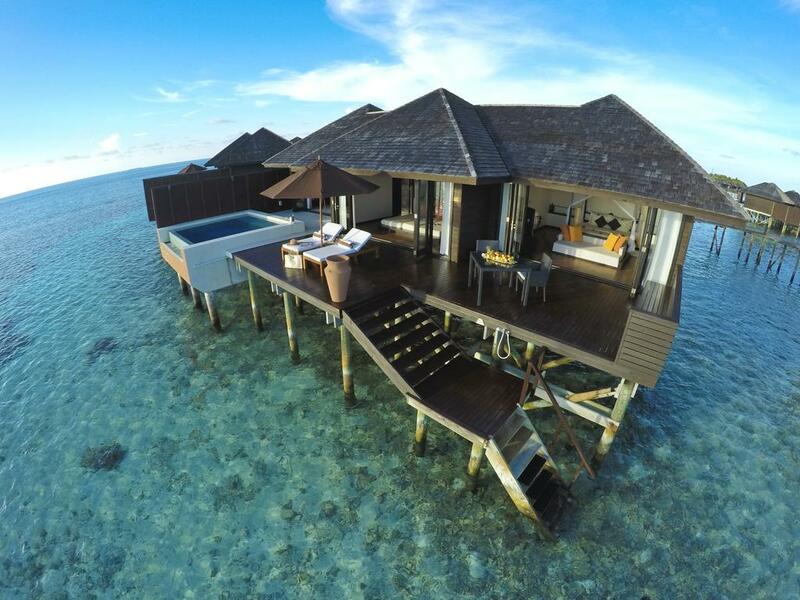 The over-water Tamara Spa at Lily Beach Resort & Spa features glass flooring that seamlessly blends interiors with the fascinating underwater world of the Indian Ocean. 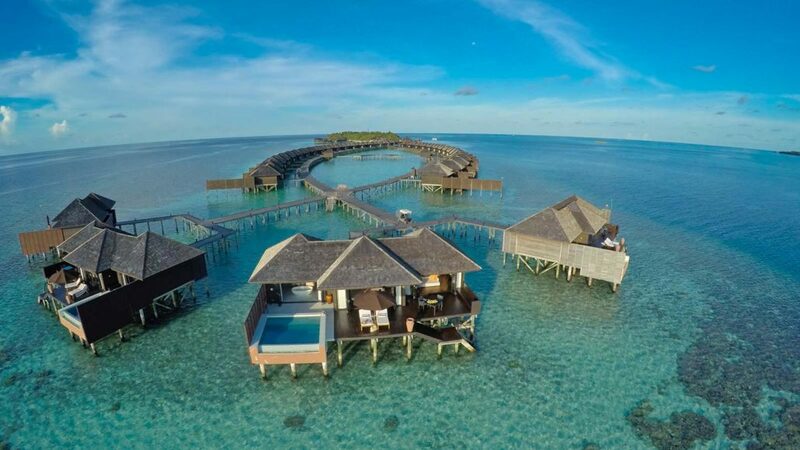 Over-water pavilions have luxurious villas boasting treatment rooms with indoor and outdoor showers, Jacuzzis, saunas and steam rooms, as well as a spa manicure and pedicure room with a nail bar. A Spa Boutique offers a beautiful range of products and accessories from Mandara Spa and the luxury British spa and skincare brand, Elemis. 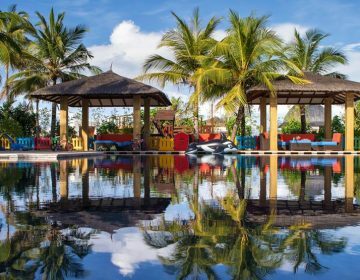 Lily Beach Resort & Spa boasts a wealth of recreational activities and sports to enjoy from fun-filled activities at the Watersports Center such as scuba-diving, snorkeling, jet-blading and hoverboarding, jet skiing, wakeboarding, wakeskating, kneeboarding, and jet-packing. 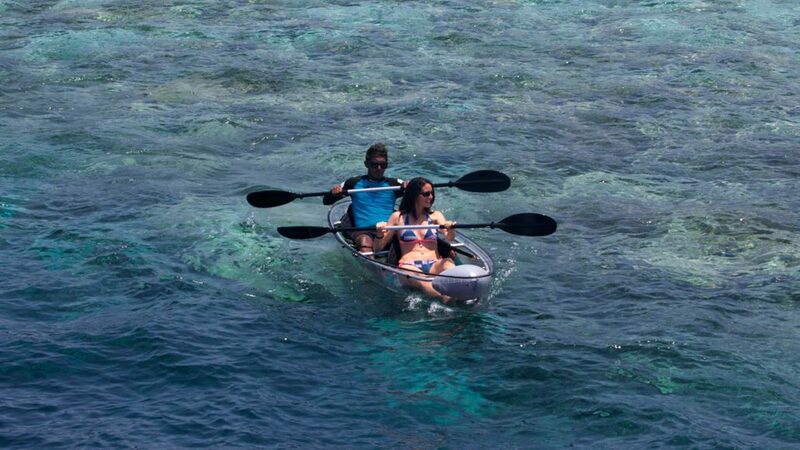 Glide across the top of the tranquil lagoon on a glass bottom canoe or try your hand at windsurfing, catamaran sailing, or stand up paddle boarding, or soak up the magnificent views on dhoni excursions, dolphin and manta ray watching excursions, and day and night fishing charters. 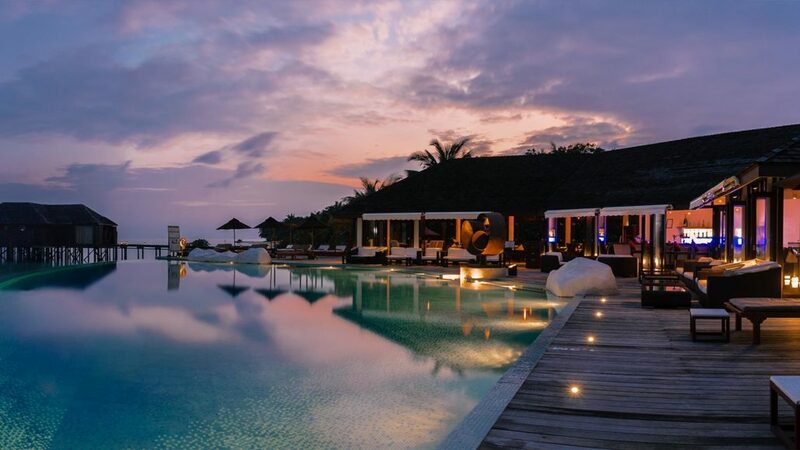 Lily Beach Resort & Spa offers an idyllic location for a one-of-a-kind celebration of love with a breathtaking backdrop of azure blue waters, footprint-free powder white sandy beaches, and verdant swaying palms. 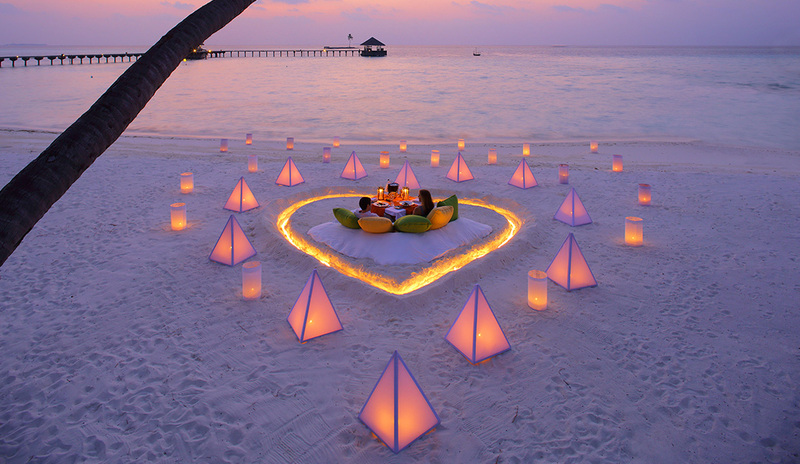 Nothing says I love you more than a dream wedding in the Maldives and saying your vows and tying the knot at Lily Beach promises to be an unforgettable experience. Lily Beach Resort & Spa offers several wedding and vow renewal packages that can be tailored and crafted to suit every requirement with a wide range of additional experiences available from a customized Rolls Royce wedding buggy to a private picnic on a deserted sandbank. 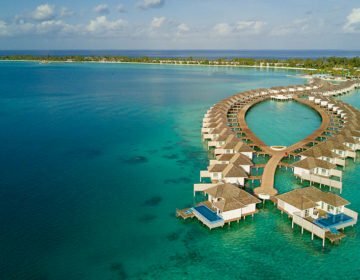 Lily Beach Resort & Spa offers an array of experiences for the whole family to enjoy from watersport activities to treasure hunts, hermit crab races, arts and crafts, and a well-equipped indoor area with indoor games. The Turtle Kids’ Club offers a safe and fun-filled spot for kids to play with friendly and well-trained staff on hand to help keep the children entertained, and a fully qualified doctor is present on the island 24/7. 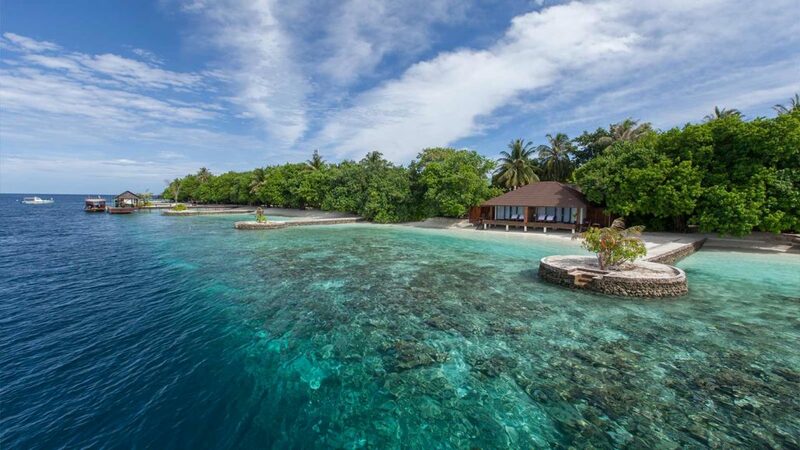 Why Lily Beach Resort & Spa?